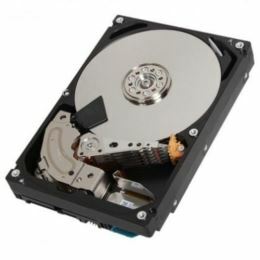 This 4TB Enterprise Capacity HDD model comes in a robust design with 3.5-inch form factor and performance of 7,200 rpm. The next addition to the MG04 Series is engineered for midline and nearline-class seek performance to improve application response times. Features of MG04SCAxxEx include 12 Gbit/s SAS interface, Toshiba persistent write cache technology, industry-standard 4K native and 512e Advanced Format sector technologies for optimum performance in the latest generation of servers and storage systems.